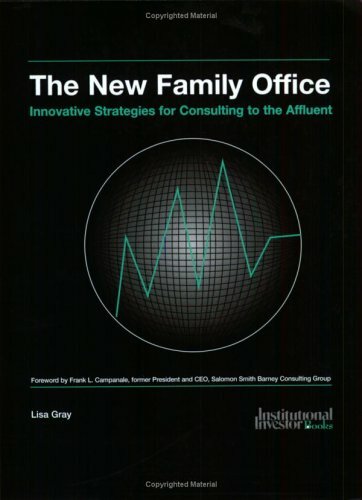 An invaluable educational tool, The New Family Office: Innovative Strategies for Consulting to the Affluent, provides investment and wealth management consultants with the skills and knowledge, using different family models, to exploit the evolving environment in private wealth management and successfully deal with family assets. Lisa Gray tracks the changing demands from the marketplace, explaining how you can take advantage of the upheavals in the financial services industry to move from a role of investment management advisor to that of wealth optimization consultant - fully developing the family office model and providing optimal solutions to the changing needs of your clients. With a complete examination of the histories of the family office and financial services industry, The New Family Office explains the state of the industry, the choices and opportunities open to today's high level advisors, and, step-by-step, the process to establish advisors as the consultants to today's demanding clients.